This Tribrach Adapter is for traversing or precise setups. 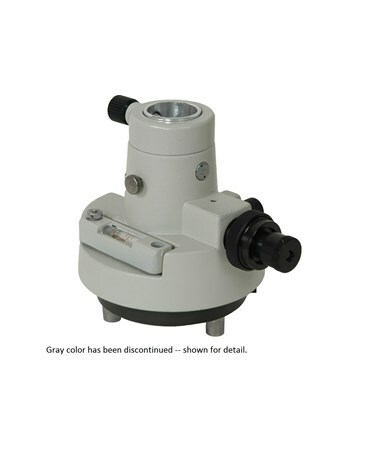 The optical plummet is twist- focus with 2.5X magnification. It has a 60-second adjustable plate vial. 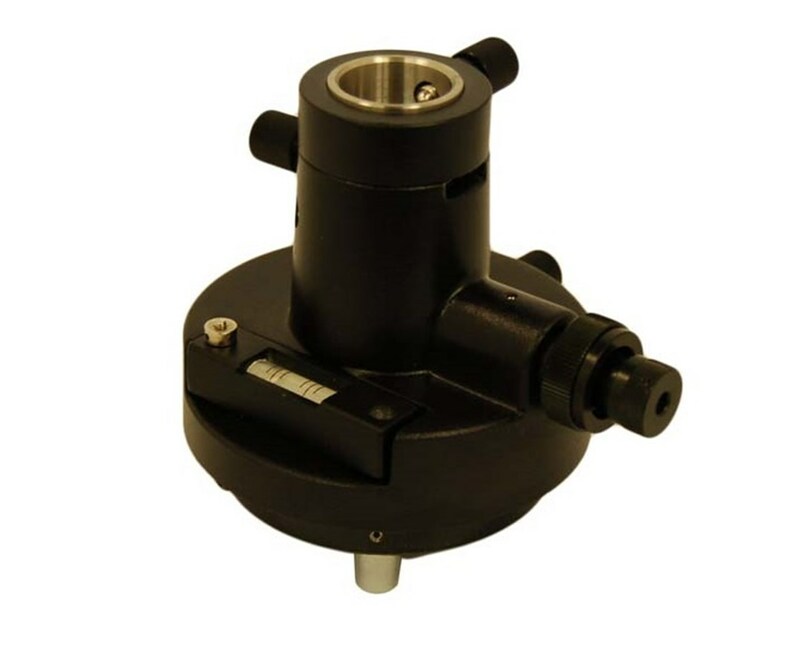 The precision-machined axis rotates 360 degrees. 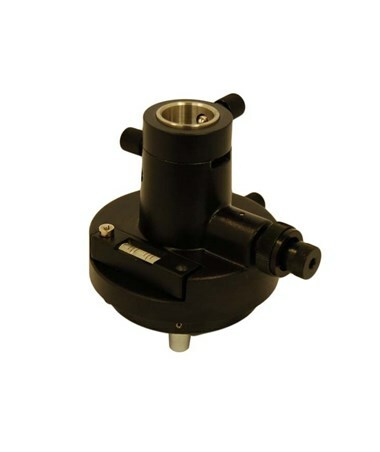 This adapter is compatible with all prisms with a 24.9 mm bayonet base. The adjustable height is 100 mm to 120 mm. It fits all standard three-prong tribrachs. The over point accuracy is 0.5 mm at 1.5 m.